Subject to severe sanctions for almost a decade, the proliferation of North Korean conventional armament on the international arms market is an often underreported topic, and many arms deals of the past are completely undocumented. Nonetheless, the traces of these deals still mark many of the world's conflict areas, and every once in a while new footage confirms North Korea's involvement in the international arms trade. Alongside main battle tanks upgraded by the DPRK, various types of artillery, anti-tank guided missiles (ATGMs) and light machine guns (LMGs) already present in today's conflict hotspots, analysis of imagery of weaponry used in the Syrian Civil War shows the presence of North Korean man-portable air-defence systems (MANPADS) amongst various factions opposing the regime of president Bashar al-Assad. The sighting of this system has become common enough to suggest the scale of their initial delivery to the Assad regime was sizeable, although the fact that they are consistently identified as the similar Soviet Igla-1E (SA-16) system also used in Syria means they have largely remained unnoticed to this date. 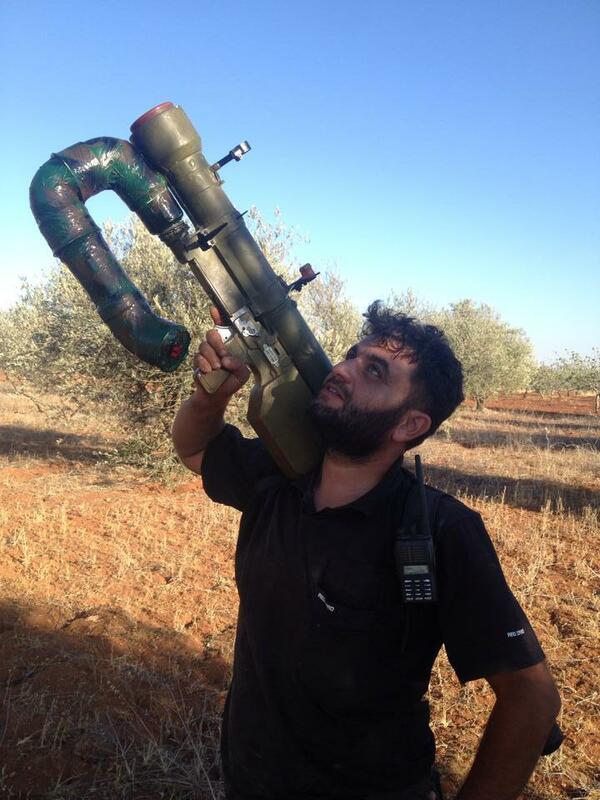 A single example was first identified in August 2014 in the hands of a fighter of the Islamic State at Ksesh (which was captured from Jaish al-Islam in the summer of 2014), but further research has unveiled an entire batch of at least 18 launchers and their associated systems was captured by the Free Syrian Army and Kateeba al-Kawthar (originally an al-Qaeda-linked group) at Brigade 80 in Aleppo in February 2013. While no aircraft or helicopters are explicitely known to have been shot down by these missiles, their continued presence on the battlefield, most recently in the heavily embattled Lattakia Governorate suggests they are still functional. North Korean HT-16PGJ MANPADS with cap removed at Ksesh airbase, August 2014. 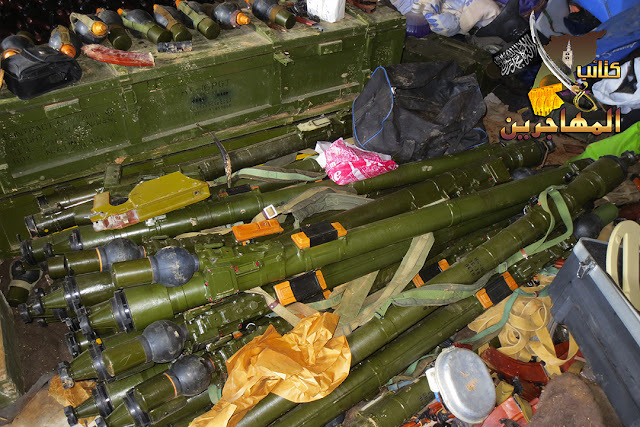 Stash of North Korean HT-16PGJ MANPADS captured in Aleppo, February 2013. Although MANPADS in general appear to be referred to as Hwaseong-Chong (Arquebus) in North Korea, it is thought the specific type exported to Syria is of their third or fourth indigenously developed generation. Early types copied from the Soviet 9K32 Strela-2 (SA-7) MANPADS (which might have donned the designation PGLM or CSA-3A) were likely developed in the 1980s, and what appears to have been an indigenous variant of the 9K34 Strela-3 (SA-14) was spotted as early as 1992. Development has ultimately resulted in a system which has only been identified in recent years, and which seems to have been derived from the Russian 9K38 Igla (SA-18). 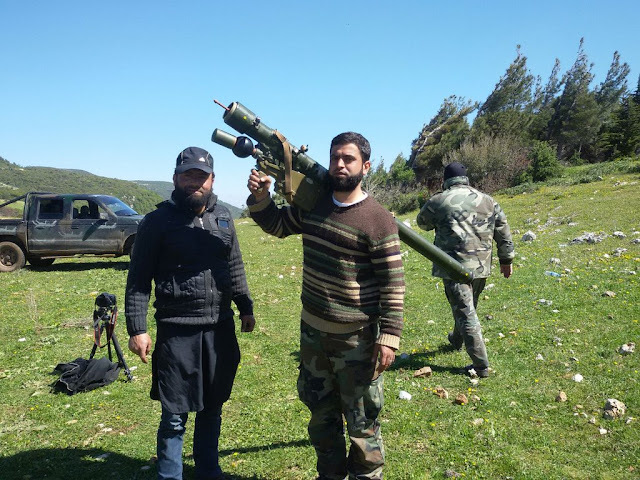 However, the MANPADS currently seen in Syria shares the most resemblance with the older 9K310 Igla-1 (SA-16) system, but with the characteristic tricone nose mounted on the missile replaced with the more modern aerodynamic spike also seen on the 9K38 Igla (SA-18) and 9K338 Igla-S (SA-24) systems it is likely its performance has been improved. The most significant other difference that allows the North Korean system to be discerned from it Soviet/Russian counterparts is the foreward placement of the thermal battery which powers the MANPADS. This component also determines whether the system is still operable; its depletion means the MANPADS has become useless, leading to several cases where factions desperate for anti-air defence have attempted to jury-rig their own batteries. North Korean HT-16PGJ MANPADS in Lattakia, 26th of November 2015. Right: The same MANPADS seen in a North Korean military parade. HT-16PGJ (the missiles alone HG-16), and that the specific examples captured at Brigade 80 were part of a contract dated the 1st of January 2004, meaning it is unlikely the shelf-life of the thermal batteries has yet run out. It is possible reports based on Western intelligence of a 2003 delivery by an unknown supplier (said to be Belarus) concerning some 300 Igla MANPADS actually refer to a deal surrounding the North Korean system, especially since the Igla has not yet been seen in Syria. If this is the case, it is likely even more MANPADS were acquired than reported as deliveries would have continued into the start of 2004. Indeed, careful study of the box containing the missiles reveals that no less than three-hundred boxes were delivered, containing two missiles each for a total of 600 HT-16PGJ MANPADS. 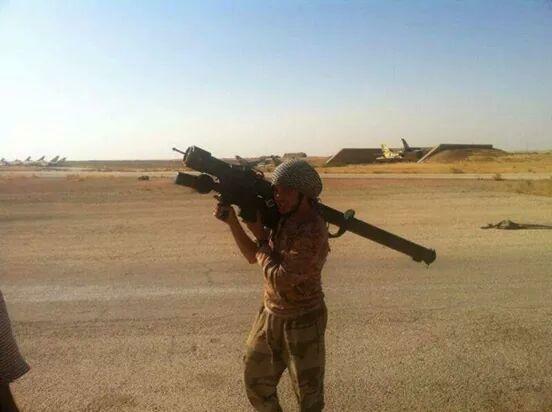 Despite the fact that the Syrian War has seen its fair share of MANPADS variants, ranging from Soviet-legacy Strela-2M, Strela-3s and Igla-1s to Chinese FN-6s supplied by Qatar through Sudan and Russian Igla-S' provided a few years before the start of the conflict, anti-air defence from the multitude of factions currently roaming the Syrian skies remains scarce. This has forced certain parties to go to extreme lengths to improvise some semblance of anti-air capabilities, and any MANPADS is to be considered a precious asset. Due to the capabilities of these systems, the West was reluctant to provide them to moderate Syrian rebels earlier in the war, fearing they might be smuggled out of the country and used to shoot down commercial airliners. Although such aircraft usually cruise at higher altitudes than can be reached by most MANPADS, a missile fired shortly after takeoff or before landing has shown to be a genuine threat in the past. Although unlikely to be the most capable MANPADS system currently to be found on the Syrian battlegrounds (a title which belongs to the Russian Igla-S system), it is certainly more effective than the older Strela-2, Strela-3 and Igla-1 systems, and possibly even the Chinese FN-6, which was found to be unreliable by the rebels that used them. As the Russian Air Force continues to remain at the forefront of the aerial campaign against Assad's opponents throughout Syria, including the Lattakia governorate, any type of air-defence systems will be gladly embraced by rebel groups, no matter what their origins are. Whether more of these systems will pop up in the future of course remains to be seen, although the full extent of North Korean exports to nations across the world has likely to only just have begun to unravel, and development of new weaponry including MANPADS that could one day end up on the illegal arms trafficking market is still in progress. 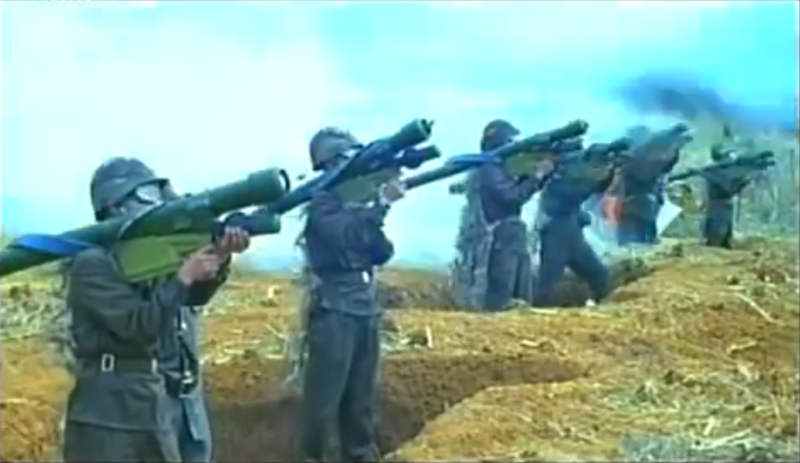 MANPADS' in use with the Korean People's Army. First three MANPADS from the left: Igla-1, North Korean HT-16PGJ also seen in Syria, Strela-3. Special thanks to 'BM-21 Grad'. Are these being supplied by the UAE? They've been doing deals with COMID according to some reports, so is it possibly a way to funnel weapons to IS and other jihadi groups via somebody who needs cash and isn't concerned about the end user? Please read the article. They were captured from regime forces. Strela MANPADS with external battery. Documentary from 2011 if memory serves me.